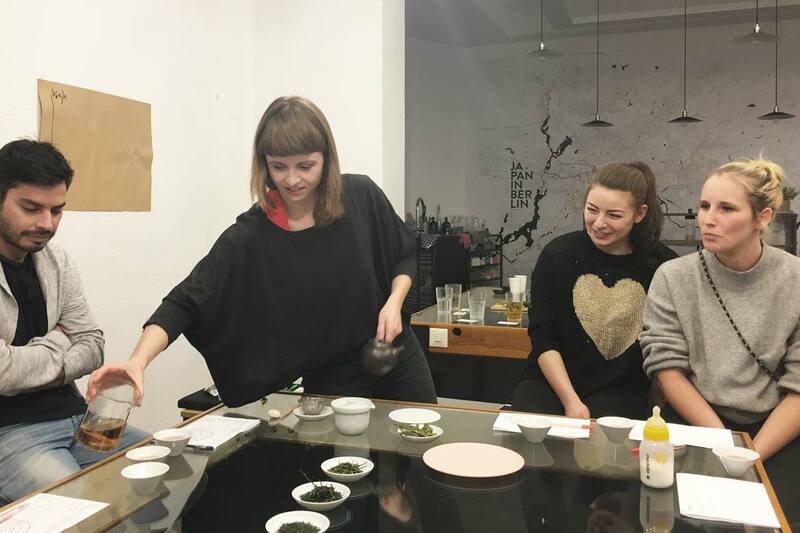 Recently, tea expert Anne Pawlak hosted her second workshop at NION Base. During last year’s NION Week, she already persuaded her guests to become tea enthusiasts by sharpening their senses. In 2011, Anne formed a special New Year’s resolution: she wanted to learn more about a topic she was already attracted to, and chose tea. In the following years, she travelled to several countries where tea is grown, and she worked on a Japanese farm to learn as much as possible about tea production. Although Anne is now living in Berlin, she is still on a journey, and teaching is the best tool to extend one’s knowledge, as she puts it. Which is why she works as a wellbeing coach, and offers courses about tea, senses, meditation and food – even in combination. As an homage to Scottish botanist Robert Fortune, who brought the tea plant from China to India, she created Fortune’s Exploits. Before the actual tea tasting began, we learned more about our senses to be prepared for the different types of tea and their characteristics. 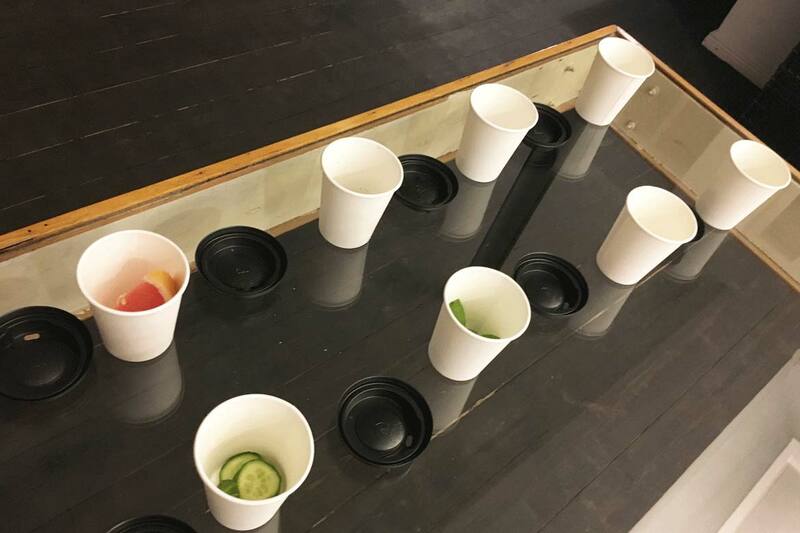 Colorful liquids, sliced vegetables and fruits helped us during the calibration process: sweet, sour, salty or umami? Furthermore, we tried seaweed water and learned about astringency. If you also want to know what this means, take a bite of an unpeeled banana. A bigger challenge were eight covered paper cups, hiding food and plants with well known, but very difficult to assign scents. We had a lot of fun holding the cups under our noses again and again. I only recognized beloved basil at first smell, mixed peas with spinach, and ironically, couldn’t tell at all the scent of black sesame, although this is my favorite ice cream type. 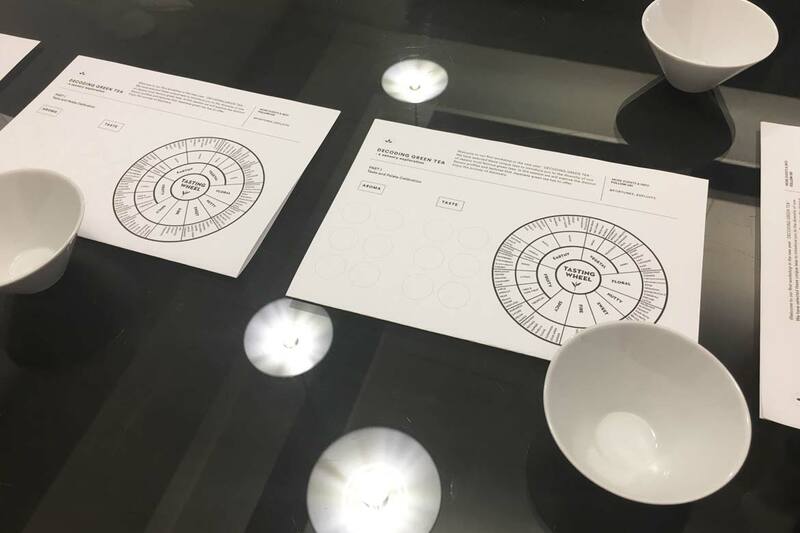 But thanks to this exercise and with the help of a very detailed tasting wheel graphic, we were able to start the tea tasting. While Anne prepared and served Japanese green teas such as Hojicha, Bancha and Kukicha by using different tools, she taught us about tea plants in general, harvest phases and methods, processing, oxidation. She explained why there is white, green and red tea, and showed us some differences between Chinese and Japanese green tea. 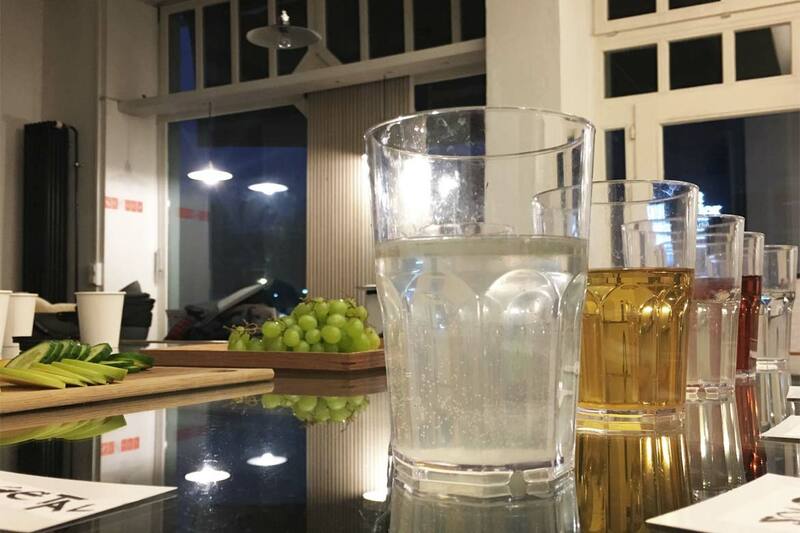 We had tiny porcelain cups – they definitely change your posture and your attitude towards drinking – and we sipped and slurped many times and tried to decode the varieties of taste. Now I won’t be confused anymore, when I will drink the welcoming tea at one of my favorite sushi restaurants, that always reminded me of seaweed. 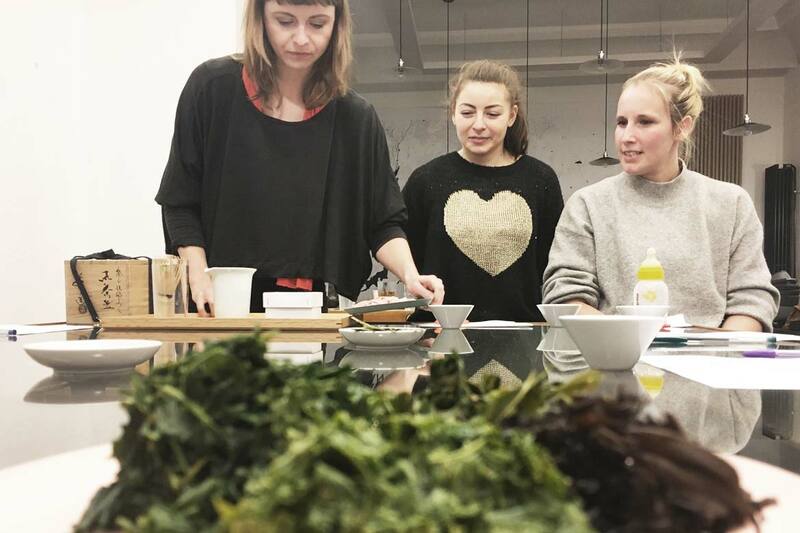 Anne celebrated the finale of the workshop by preparing matcha for us – without a proper ceremony, but with careful, thoughtful movements – and serving pink plum and fish crackers. We felt really honored! If you also want to learn how to decode green tea or ways in which you can integrate tea into everyday life to promote focus, wellbeing and relaxation, have a look at Anne’s Facebook page. Editor, blogger, social media native and graphic designer. Committed to her cats and chocolate, learning about new models of working. 夜型. NION Head of Content. Shoplifters – What makes a family?